British Heavyweight Champion Sam Sexton is using the powers of hypnotherapy as he heads into his crunch showdown with Hughie Fury this Saturday (12th May) at the Macron Stadium, Premium Suite, Bolton, exclusively live on free-to-air Channel 5. The Norwich star has been working with hypnotherapist Matthew Robinson from Boxnosis as he makes the first defence of the Lonsdale belt against a dangerous challenger in Fury, who’s having his first fight back since his controversial loss to Joseph Parker last September. Sexton believes that mind over matter will take him to victory over big-hitting Fury and continue his winning run using the technique that has stretched his last nine fights. “It’s nothing like you see in films with a swinging watch in front of your eyes and going into trance,” Said Fury. Sexton v Fury is exclusively live on Channel 5 this Saturday from 9pm. Watch the undercard live on 5Spike from 7.30pm. Sexton v Fury British Heavyweight Championship clash headlines an exciting card that features all-action Leeds talent Reece Cartwright, the IBF Youth World Middleweight Champion; Galway’s ‘Connemara Kid’ Peter McDonagh competes in a 10-round international super-featherweight contest and female boxing sensation Savannah Marshall, double Olympian and 2012 World Amateur Champion, makes her UK debut in an 8-round middleweight contest, and unbeaten super-featherweight prospect Yusuf Safa. 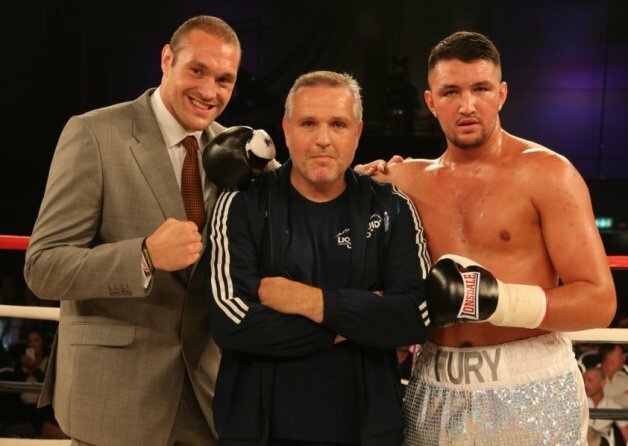 FURY ON ROAD BACK TO WORLD HEAVYWEIGHT TITLE SHOT – Hughie Fury is ready to punch his way back into world heavyweight title contention once he’s claimed the British Heavyweight crown. Fury makes his long awaited return to the ring on Saturday 12th May at Bolton’s Macron Stadium, Premier Suite, when he challenges the reigning British Champion Sam Sexton for his title. The fight will be broadcast exclusively live across the UK on Channel 5 – the first time in nearly seven years that a British Heavyweight title fight has been seen on terrestrial TV. Manchester ace Fury is hungry to get back into the world heavyweight mix after his controversial points decision loss to WBO Champion Joseph Parker last September in his first world title challenge at just 23. March is a busy month in the heavyweight division with WBC king Deontay Wilder’s thrilling win over Luis Ortiz last Saturday night and IBF/WBA Super Champion Anthony Joshua in a unifier against Parker at the end of the month, but Fury believes he can get himself into pole position, starting with a victory over Sexton. “I’ve got the buzz back and I’m really excited to get back into the ring again.” Said Fury. Fury has based himself in Bolton with father and trainer Peter as he prepares for the Sexton clash and is not underestimating the Norwich puncher who upset the odds to claim the Lonsdale belt against Gary Cornish last October.